Breckenridge is tucked in one of the most preferred and established neighborhoods in Spotsylvania County. The new homes at Breckenridge offer elegant and traditional floor plans in a location that is both convenient and naturally beautiful. Breckenridge homes are just minutes from I-95 and the historical beauty of Fredericksburg. Breckenridge homeowners will also enjoy the community amenities such as the pool and walking trails. *School assignments may vary. Please contact the Spotsylvania School District for any revisions in school assignments. 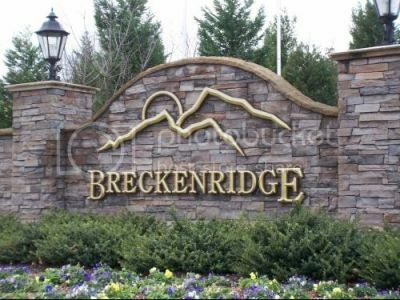 For more information about Breckenridge, please contact The Crews Team at 540-692-9144. Sign up on our website to get the latest homes for sale in Spotsylvania. When it comes to Breckenridge, The Crews Team is here to provide you with exceptional service.